FULLY REVISED EDITION with over 10,000 words of new content. Every industry revolves around Key People of Influence. Their names come up in conversation. They attract opportunities. They earn more money. Many people think it takes decades of hard work, academic qualifications and a generous measure of good luck to become a Key Person of Influence. This book shows you that there is a five-step strategy for fast-tracking your way to the inner circle of the industry you love. Your ability to succeed depends on your ability to influence. Start now by reading this book. 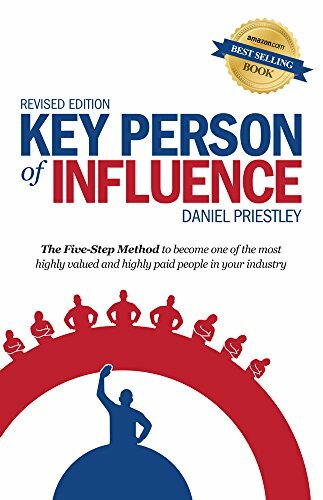 Start reading Key Person of Influence on your Kindle in under a minute. What drives people who want to be entrepreneurs – fame, fortune or controlling own destiny. Whatever the goal, you need to be well known, you need to be a thought leader, and in today’s world, that means being highly proficient on the internet and social media. Daniel presents 5 steps to becoming a Key Person of Influence by; defining your purpose, having something to say, generate material, get web famous and collaborate. What I really like about Daniel is that he removes the BS and tells it as cold hard truths. His clarity of thought in how you start with a single purpose and build on that to generate the greatest impact is superb. He doesn't claim it will be easy and it isn't, but if you want it badly enough the effort will be rewarded. His writing style is easy, the book is visually very good, and throughout the book, there are real gems of advice and action lists. 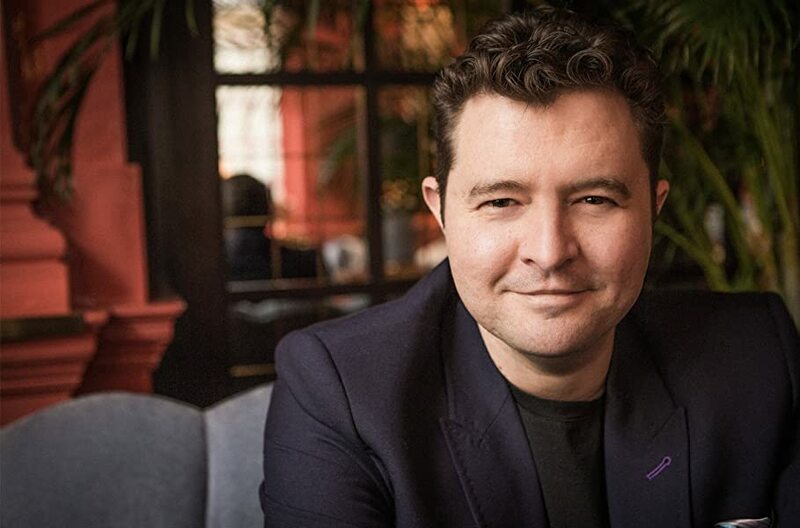 It seems to be a fashion these days for marketers to promote the idea of being an authority or being seen as an expert as a way of winning business. 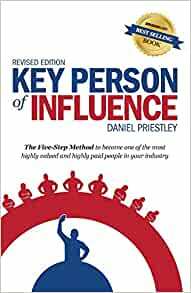 Daniel Priestley's Key Person of Influence was the first and, in my opinion, the best. I bought it when it was first published and it continues to inspire me. It gives five practical strategies to stand out from the rest of your industry. They're not easy (nothing in business is!) but they are worth the effort because they work. Daniel's writing style is easy to read and motivates through stories of his own experience and others. Buy this book. You will enjoy it and you'll learn lots. I have read several books by Daniel now. Each has provided good insights, advice and methods for achieving specific things. This one provides guidance in how to be recognised as a leader / influencer in your specialisation and area of expertise. It is well researched and clearly explained. I recently read lots of books on online presence, marketing, online products and online strategies. Nothing came close to "Key Person of Influence". I was able to immediately relate to every one of the five steps, and I am now adjusting my strategies to fit the guidelines proposed in the book. It's full of great insight and most of all, practical steps to make them work in any Industry. Very well written and with lots os examples and references. Hands down one of the best business books I have ever read. It helped me understand what it means to run your own business and how to unpack the value we all have to establish ourselves as known and trusted suppliers in our industries. I always wanted to be hidden in my business but with all the new challenges we face I knew that had to change. This book showed me how to become known in my industry. 5.0 out of 5 starsGreat reference work, one to keep to hand! Some great points! I'd accidentally become an influencer in a niche and wanted to see if there was a method. Turns out there is and I'd followed a version of it without realising! This book is seriously life changing! Becoming a KPI is essential for anyone wanting to achieve success! I've followed Daniel's 5 P's and I have noticed a massive change in my business! Excellent read (listen). Just realised how I can make a difference by influencing in a key area of life/business to see the results....very much appreciated.